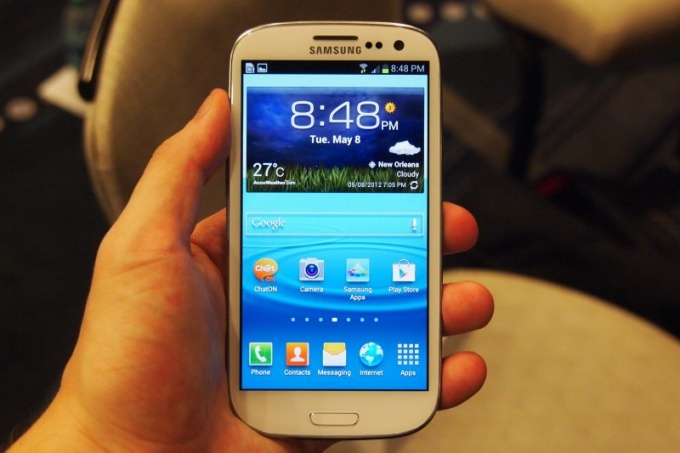 Samsung Galaxy is the main line of smartphones based on Android operating system. Operation is determined by the functions of this system which also enables data exchange with the computer in various modes. To connect Samsung Galaxy to computer in USB drive you'll need to set the cable used to connect the smartphone to the USB port of the computer. Then connect the other end of the cable to the unit and wait for menu operation on the screen of the device. In the menu that appears, click on the "Connect USB storage". After selecting this option on the computer screen a notification will appear about the beginning of the installation of required drivers, after which you will be asked to perform actions to view content of the connected drive. To see the folders on the device, select the option "Open to view files". If your phone also has a removable flash drive, it will also be open on the computer screen in view mode folders. In addition to connecting in disk drive mode you can also use the Samsung Kies program that comes in one package with the device on a dedicated disk with the software. Install the drive in computer and select to install Samsung Kies. You can also download the installer for the application from the official Samsung website in the relevant section. After installation run through the shortcut on the desktop and connect your smartphone with the USB cable that comes with the device. The phone will be determined by the program and you will be able to manage both the content and the phone book. Using Samsung Kies, you can also save the necessary data of phone as a backup to use in case of problems in the functioning of the apparatus. If you want to change the connection mode of the phone to the computer without disconnecting the phone, or to determine the setting to use the phone as a USB drive by default, go in menu "Settings" - "Network" - "USB Connection" and tick the box next to the desired menu item. To install the app on your phone Samsung you can like using a computer, and without it. The menu of modern telephones for this, even has a separate button Samsung Apps, clicking on which will take you directly to its website, where you will surely find more than one useful app for your mobile. But if you seem a little, application for Samsung there are other sites – choose on taste. Download Samsung Kies from the Samsung web site Apps. Install the program and connect the phone to the computer using USB cable. Select the connection mode cable “Samsung Kies” (menu connection mode is displayed on the screen of your phone. Log on to the website under your login. If you have not previously registered on the websites of the Samsung company register. 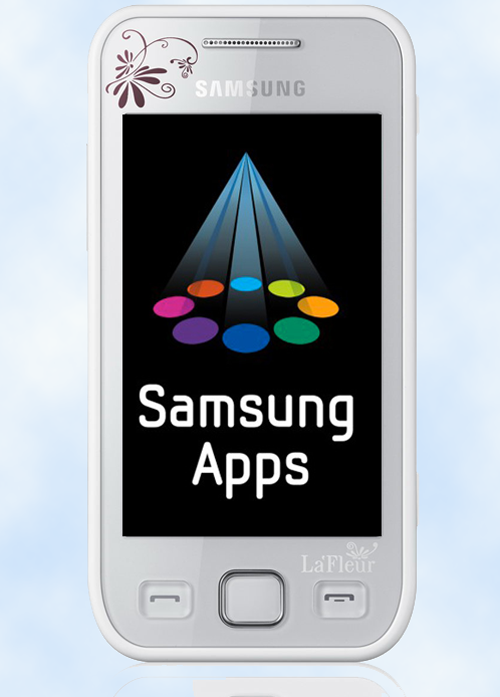 Please note that with this method of sign in to Samsung Apps when connected to the phone), you will be offered a program designed specifically for your model mobile. So to search for apps you will only have to choose the category that is most interesting to you. Also filter proposed to install programs under the terms of their distribution (paid/free). View the detailed description of the application, by double-click on its image. If you like the program, you can download it immediately by clicking on the appropriate button, or defer to favorites to download later.To control the boot process, you can according to the bottom of the page. When connected to the phonee the program is installed directly into it. You will find it then in the menu phone. Log in to Samsung Apps by using the corresponding button in the menu of your phone. Choose app by category. To install the app on the phone, select it by pressing with your finger. In the opened window click "Receive".The history of all your downloads in Samsung Apps is stored in the dashboard. When new versions of previously purchased applications, you will receive a notification. Download your favorite java application (jar file) from another site to your computer. If the file is zipped, unzip the archive. Copy the file to your phone in folder "Other" (Others) using the connection via USB cable or bluetooth. You can also load jar files without using a computer directly from the website through the web browser of your phone. Disconnect mobile from PC and open the menu of the phoneand the "My files" the folder "Other". Select the downloaded file (click on it with your finger) will begin the process of installing it on the phone. Wait for installation to finish. Downloaded the app you can find in menu "Games". Beware of scammers! Often under the guise of useful applications for the phone are subject to the program dummy, requiring the sending of expensive SMS. After changing the operating system, you need to choose the right drivers for some devices. You can use the special tools or find the drivers yourself. 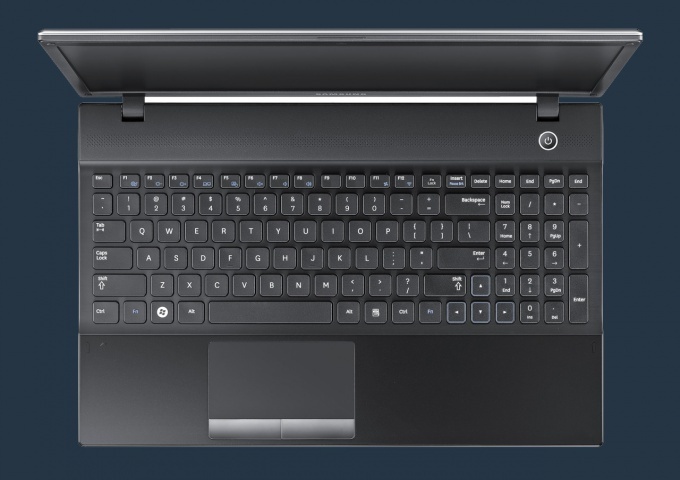 If we are talking about laptop Samsung, first try to download the drivers found on the official website of the manufacturer of this particular model. Click on the link www.samsung.ru. Hover over the Support tab and select Downloads. Now click on "Computers and peripherals". In the ensuing menu, select PC. In the second step, you specify the parameter "Laptops". Now click on the model name of your laptop and click "Choose". Open the Drivers tab and select a device operation which you want to restore. Now click on the icon in column "File". Wait until complete downloading of the selected set of files. Open the device Manager. This item is located in the properties menu of "My computer". Click the right mouse button on the equipment for which you want to install the drivers and select "Update driver software". Select "Install from a specified location". Select the folder in which you saved the previously downloaded drivers. Repeat this algorithm for installing drivers for other devices. When you need to install drivers for many devices, it is better to use additional software. Download Sam Drivers tool and then run the file DIA-drv.exe. Immediately after its opening will start scanning your laptop and search for appropriate drivers. Now check those sets of drivers that should be updated. Click "Install" and select the option "silent installation". Be sure to reboot the notebook after the completion of the program Sam Drivers. Open device Manager and verify that all necessary equipment is working properly.